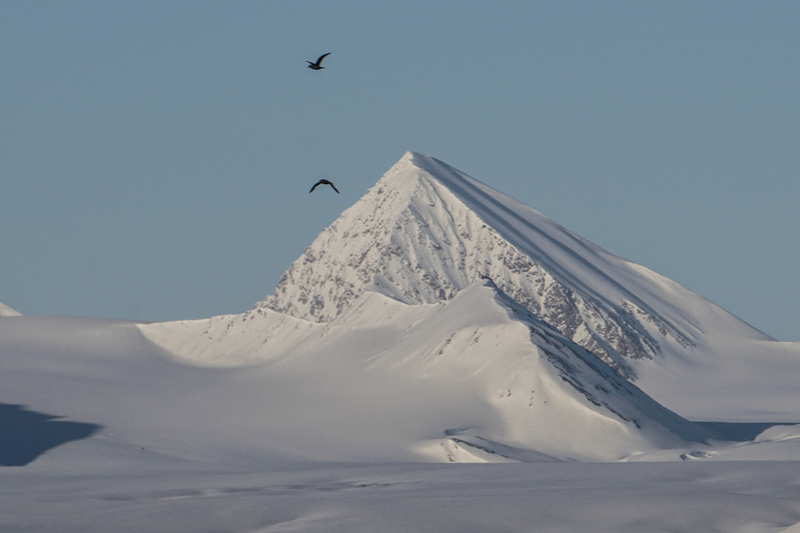 Svalbard is an arctic paradise for ski touring, full of wildlife and unexplored terrain. A cost line full of beautiful mountains rising straight from the ocean, surrounded by huge glaciers. Spitsbergen (the largest island in this Norwegian polar region) is larger then Switzerland with a population of only 2667 people. Today 59% of the landscape is covered by glaciers. Here, at 79 degrees latitude, you find the northernmost settlement in the world with a permanent civilian population. With a road network of only 50km, the mountains are best accessed by boat. However, we need to await late spring in order to sail through the otherwise ice covered archipelago of Svalbard. This time of the year the sun never sets, and we have 24h daylight for skiing and sailing. Being so remote, sparsely populated, yet easy to get to, makes Svalbard a perfect destination for an arctic ski and sail adventure. 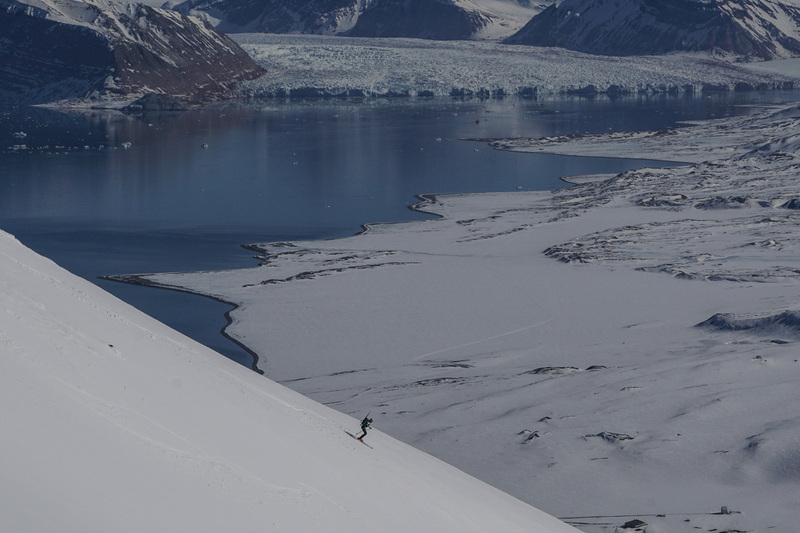 The Svalbard ski and sail expedition is a trip of a life time! Ski touring from our mobile home – a 67 foot steel sailboat equipped for sailing in the arctic – we have endless possibilities for great descents. Even though the mountains are not very high, the mountains are very alpine. Combined with big the glaciers, the environment is often serious and demands a certain level of ski mountaineering, as well as confidence skiing in somewhat steeper terrain. Life on an arctic ski and sail trip also involves many other activities and challenges. We will get to admire wild animals (whales, rain deers, birds, walrus and maybe even polar beers), we will fish for our dinners, and of course sail through the landscape to a new fjord each day. Additional to our normal ski mountaineering equipment, we carry a rifle and flare gun for polar bear safety at all time on land. 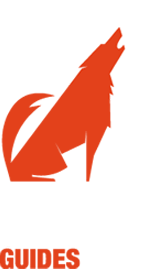 Your IFMGA Mountain Guide has experience with managing the safety of the group in polar regions, and will educated the group about the routines on land. Likewise our skipper will inform you on the special safety measures demanded when sailing in the arctic ocean. This trip is designed for two small private groups of maximum 4 clients in each, who will have one IFMGA/UIAGM qualified mountains guide each. With us on the sail boat we also have one skipper and one deckhand. The trips start and finishes in Longyearbyen. There are regular flights to Longyearbyen from Oslo and also via Tromso (with SAS and Norwegian). 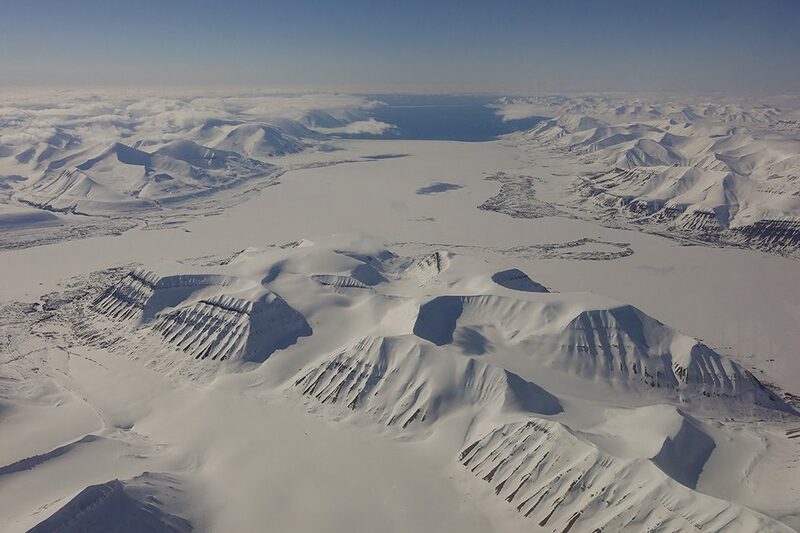 Svalbard is relatively easy to reach by plane. Our home is a comfortable 46-foot Bruce Roberts steel sailing yacht. We will spend 7 days on the boat and have about 6 ski-days. 19 – 26 May: 6 places left! Monday: Morning meeting in Longyearbyen for breakfast, making last arrangements before departure, boarding the boat just after an early lunch. Monday to Sunday ski and sail as we please, 6 – 7 ski days. Sunday evening return to Longyearbyen after the skiing. Price 2019: 3160€ per person. – Food (including food for the guide, skipper and deckhand): we buy the food together in the supermarket before we board the boat. The cost for that depend a bit on what you would like to eat (about 200€ per person including drinks). More info about the climate, history and tourism to Svalbard at Sysselmannen.no.